There are countless reasons to invest in new windows. Foremost among these, however, is to dramatically improve the value and appeal of your home. This is something that many people are opting to do with the wooden windows London companies install. These structures are classic and timeless. They greatly enhance the aesthetic beauty of properties while providing an impressive level of insulation. For these and other reasons, these options are fast becoming the preferred choice in many areas. Humans pride themselves on making regular innovations in building and design. Throughout the decades, a number of cutting-edge building materials have been introduced that are marketed as being less costly, better for the environment, easy to maintain and much more flexible in terms of their overall appearance and application. When compared to all wood options, however, these new products often fall short. This is especially true when it comes to PVCu window designs. PVCu windows are often sold as being low-maintenance options. This is appealing to homeowners who know that wood designs must be painted, varnished or otherwise maintained. The reality, however, is that PVCu requires maintenance as well. Moreover, if these units are not taken care of according to the manufacturer specifications, they will need to be replaced. These units are not possible to repair. Conversely, all wood designs can last indefinitely. In fact, there are actually wooden windows in existence today that have been in place for four whole centuries. With proper care, there is no need to replace these units as they will endure without showing any considerable signs of structure or aesthetic wear and tear. When problems do arise, they can also be repaired. Thus, although homeowners are responsible for maintaining them and despite the fact that they require a larger upfront investment, wood designs are always going to provide the greatest amount of value over time. Another vital thing to note is that vinyl, PVCu and aluminum designs typically need to be replaced after 30 years, if not sooner. In terms of environmental efficiency and friendliness, wood is always going to be the better choice. PVCu and vinyl windows are made in large manufacturing facilities that take a considerable toll on the natural environment. It also takes eight times the amount of energy and resources to produce these units, that it does to make wood window designs. Moreover, wood actually has negative greenhouse gas emissions as the result of its superior insulation. These insulating properties can actually help homeowners save cash in the short term. That’s because home heating and cooling systems do not have to work hard in order to create and maintain ambient temperatures indoors. This makes it easier to keep a consistently comfortable indoor environment even when the outside weather is severe. Considering that adding wood windows to a home will enhance its resale value, there are both short-term and long-term financial benefits that property owners can gain from these upgrades. A lot of consumers are interested in investing in these structures for the sake of preserving the historic appeal of their abodes. They know that opting for some of the more modern options is not the best way to complement classic architecture. By paying to have existing units restored or to have new sash windows put in, they can keep their homes looking like they were intended to look. This is also great for increasing marketability and appeal. It is often possible to have existing structures repaired for the purpose of preserving historic appeal. This remains the case even if the current structures happen to be badly damaged. The top professionals within this industry have special workshops that they can take these structures to rather than repairing them onsite. They may be able to preserve or restore the original hardware as well. Working in these specialized environments give them the opportunity to lend essential attention to even the finest details. Although some people believe that wood is not a sustainable resource in this capacity, it certainly is. In fact, this is actually the most sustainable resource for the manufacture of windows out there, given the limited impact that it has on the natural environment. By working with reputable manufacturers and installers that are diligent about the management of their supply chains, you can ensure that the raw materials for your sash windows are sourced in the most environmentally-friendly fashion. 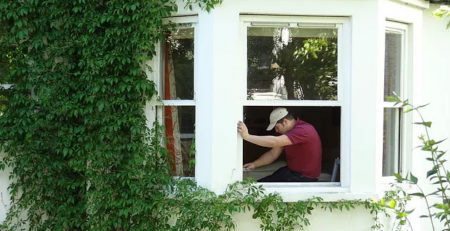 For more information on the areas we cover please click HERE we carry out sash window repairs in all London areas and manufacture and fit wooden windows across London daily.